Tours are available daily. 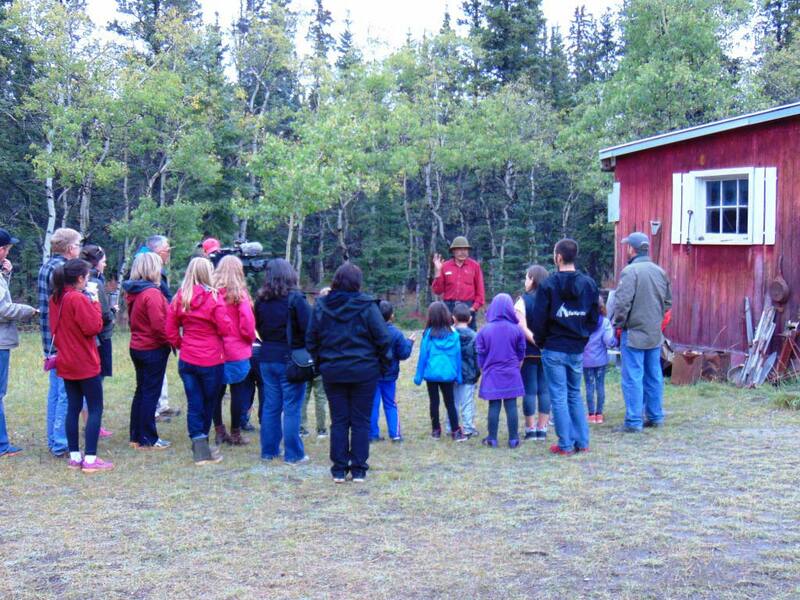 One of our trained guides will walk you through the forest and teach you about the structures and how they were built and used and stored during the year. A short walk into the woods will bring you back in time when only wood, stone and animal parts were used to create everything our Southern Tutchone culture needed. From animal and fish traps, to housing and storage structures, you will learn and be amazed at the ingenuity that our ancestors had to make life vibrant in the far north. We also rent our entire camp for meetings, overnight retreats (great for schools and youth groups), and we can accommodate any size group for multiple day excursions. We have a small cook shack on site, but have a full service kitchen close by and can cater all meals while groups are at the camp from nutritious school lunches to full breakfasts and dinners as well. We can satisfy any dietary requests. Schools and educational facilities have discounted pricing. Please contact us for current rates.